If you own an Ebay account of you're a lover of Vintage you'll know the brand I'm talking about when I say "NastyGal" Today, they've launched in the UK and carry thier own label of fashion forward clothing and accessories. 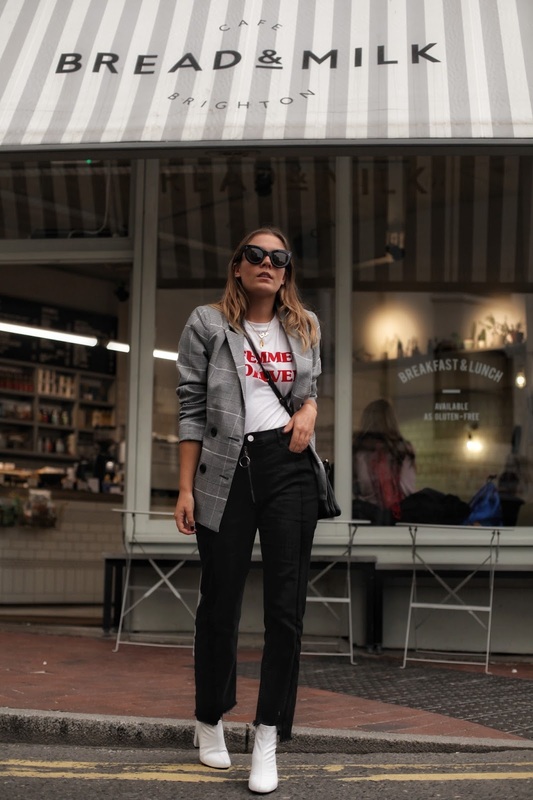 If you follow me on Instagram you'll know I've got a massive craving for anything checkered at the moment, in particular checkered blazers and today it's no different. 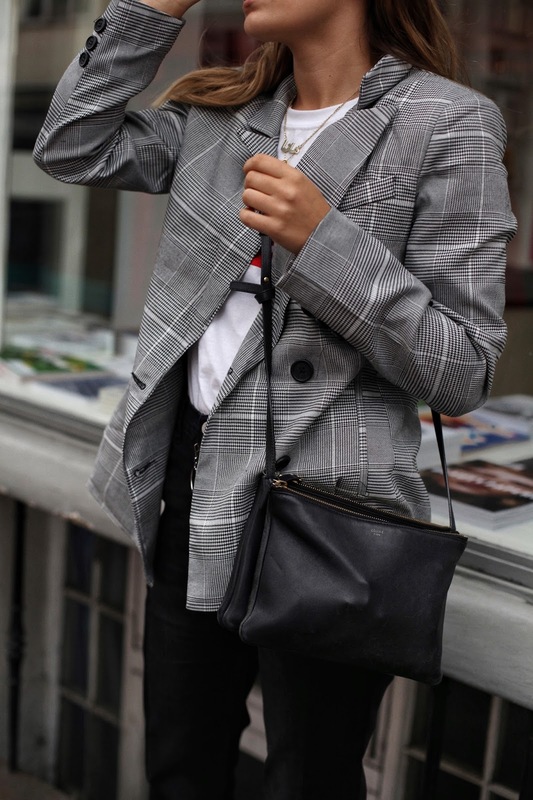 I love the pattern of this blazer, the different sized checks and the detailing in the black buttons and button holes. Straight leg jeans are a massive thing for me at the moment. Gone are the days of the skinny, in my wardrobe they've been massively outwayed by the straight. What's different about this pair is the two tone, the frayed hem and not forgetting the O-Ring zip. How perfect do they look paired with a white ankle boot? I've been looking to get my hands on a pair of a while now, and I think I've bagged myself THE pair. This post was made in collaboration with NastyGal. Hannah you can do no wrong! 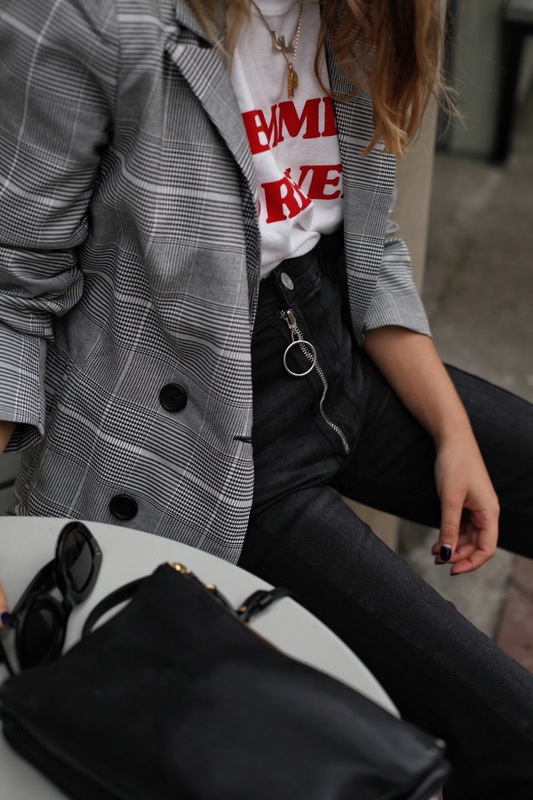 Love these jeans and the styling of the blazer. Ahh I am loving these ankle boots and white tee, I really love how NastyGal has their own more affordable label! !